Posted 18 March 2019 . Garden terraces, a paved courtyard, trees and seating are at the heart of a $5 million world-class space for gatherings and relaxation in Green Square. Dyuralya Square, a 2,000 metre meeting place in Waterloo's Lachlan Precinct will open on Saturday 30 March offering space for residents to meet and relax. Lord Mayor Clover Moore said Green Square is one of the fastest growing residential areas in NSW and high quality space for recreation is therefore vital for the community. "In just over a decade, Green Square will be home to over 60,000 residents, with most of our community living in high-rise apartments, and 22,000 jobs," Lord Mayor Clover Moore said. "This is why we want all residents and visitors to be within walking distance of the 40 parks we are creating in Green Square and why we have invested in high quality footpaths and cycleways and stunning community facilities like our new library and plaza, community and cultural precinct, and the future aquatic and recreation centre. "Dyuralya Square will provide our growing community with a wonderful and accessible outdoor meeting place, complete with tables and chairs for chess." The area was once filled with freshwater creeks and swamps, a valuable hunting ground for local Aboriginal people. The square's name is derived from the Gadigal word for the brolga, a species of crane that once thrived in the wetlands. The City worked with designers Oculus, engineers Robert Bird Group and builders Structus on a space showcasing the area's rich natural, urban and industrial history using materials including recycled bricks to reflect the site's heritage. The park is framed by Murray Street to the north, Amelia Street to the east and Gadigal Avenue to the west. 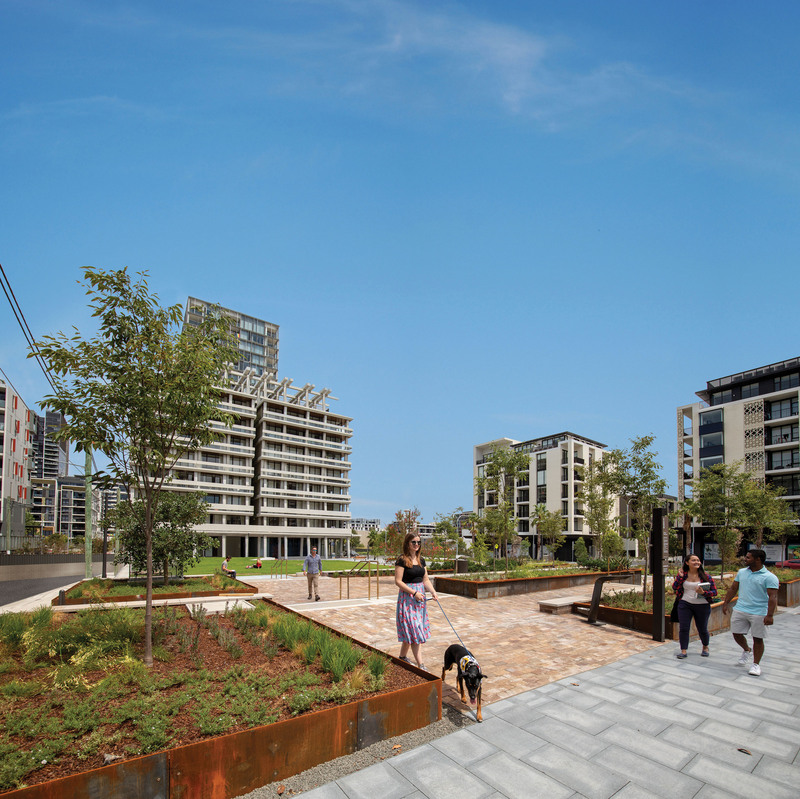 The $13 billion, 278 hectare Green Square development area stretches from Waterloo in the north to Rosebery in the south, Zetland in the east and Alexandria in the west. It is 3.5km from the city and 4km from the airport. What: The Lord Mayor will officially launch the square at 11.30am. There will be music, free bike tune-ups coffee and gelato.